A completely free school fundraising program that also helps students deal with social issues such as bullying and peer pressure. A completely free school fundraising program that also helps students deal with social issues such as bullying and peer pressure. A Musically-Driven Program To Help Students Deal With Bullying, Peer Pressure & Other Social Issues. FREE When Combined with a Fundraising Concert That Generates Additional Income For Your School. No matter what you are going through you are not alone. Regardless of how bad things are, there is always a way out.They just need to reach out and ask for help. It's unfair to judge others because you don't know what that person is dealing with. In this program an artist comes to your school to speak at and perform a fundraising concert for your students and their families. There is no cost to you. You receive 50% of the ticket proceeds to use at your discretion. To get the assembly program free, the same artist can return and perform at the fundraising concert. WHEN COMBINED, THERE IS NO COST TO YOUR SCHOOL AND YOU ARE GUARANTEED AN INCOME FROM THE CONCERT! This program is funded by sponsors as well as from a portion of the income generated at the fundraising events. 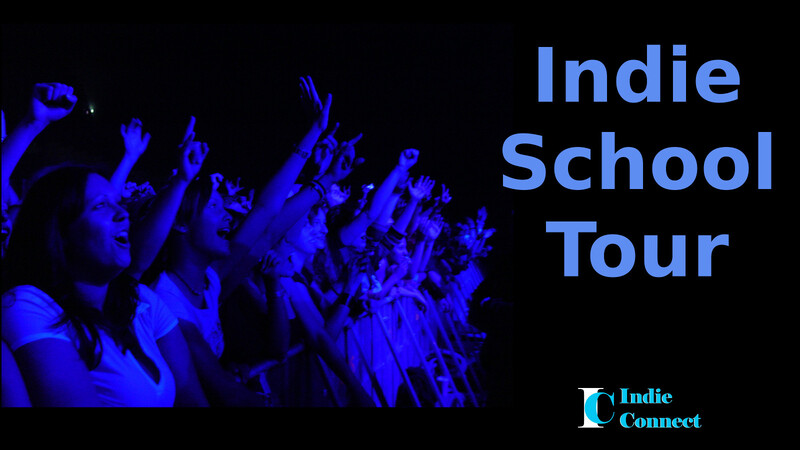 We accept new artist applications for the Indie Connect School Outreach Tour, although we are launching in select cities to start. Click below to apply! Artists are ready to perform in several major cities such as Nashville, New York, Toronto, Dallas, Los Angeles, San Diego, Edmonton and more. We have a wide variety of family friendly, completely vetted artists. Styles include rock, country, hip-hop, pop, Americana and more! Subscribe To Keep Up With The Latest News! Brought to you by Indie Connect. Inc.
Indie Connect has been training, managing and consulting up-and-coming artists since 2008.